Tansey started his career at Stockport County, progressing through the youth system before making his first-team debut in 2006. He was loaned out to Conference National side Altrincham towards the latter stages of the 2007–08 season. Tansey spent six years at Stockport, becoming a permanent fixture in the side, as well as finishing as the club's top goalscorer during the 2010–11 campaign. He left Stockport in June 2011, joining Scottish Premier League side Inverness Caledonian Thistle on a free transfer. After one season at Inverness, Tansey joined Football League One club Stevenage in May 2012, before returning to Inverness in 2014. 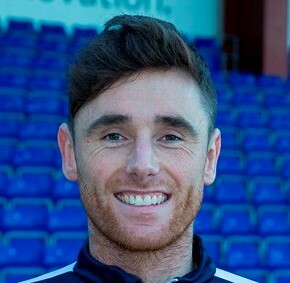 On 17 January 2014, Tansey re-signed for Inverness Caledonian Thistle on an 18-month deal. Upon returning to Inverness, Tansey stated that he rejoined the club because of his motivation to help them play in Europe. On 30 March 2017, Tansey signed a pre-contract agreement with Aberdeen, with a 3 year deal to start on 9 June 2017. He struggled to hold down a regular place in the Aberdeen team, and was loaned to Ross County for the second part of the 2017/18 season.